A cyclist passes by one of 55 new wayfinding signs installed along the Razorback Greenway earlier this month. The Northwest Arkansas Regional Planning Commission recently received grant funds from the Walton Family Foundation to install 55 signs along the entire 37-mile trail system stretching from south Fayetteville to Bella Visa. 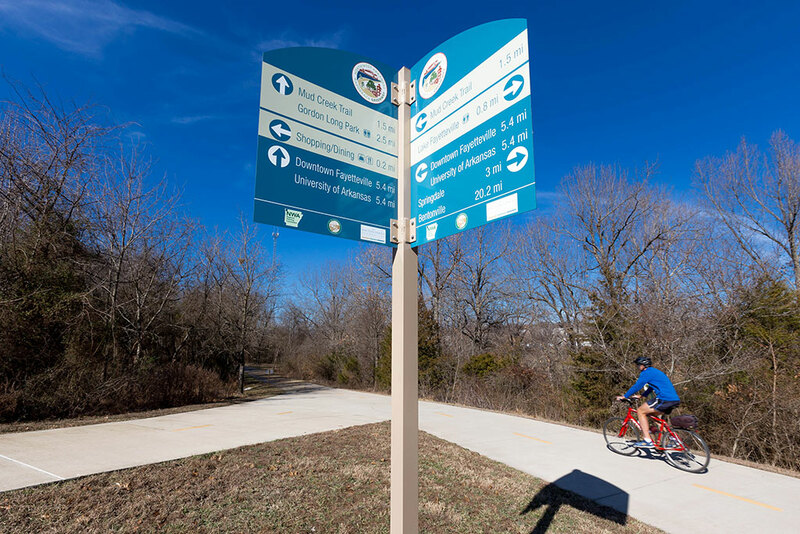 The project includes directional signs, flags, maps, trailhead markers and kiosks to help cyclists and pedestrians navigate and find destinations along the Greenway. For example, a sign installed on Clear Creek Trail points the way to Lake Fayetteville, downtown Fayetteville, the University of Arkansas campus, and the shopping and dining areas around the Northwest Arkansas Mall. 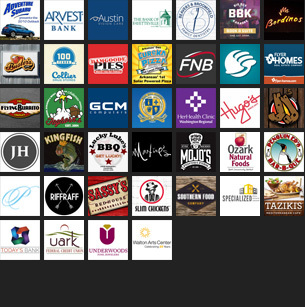 Directions and distances are also included for Springdale and Bentonville. The commission also plans to install five additional large kiosk signs along the Greenway in March, according to a news release. For more information about the Northwest Arkansas Regional Bicycle and Pedestrian and Master Plan, visit nwabikepedplan.com or call 479-751-7125.